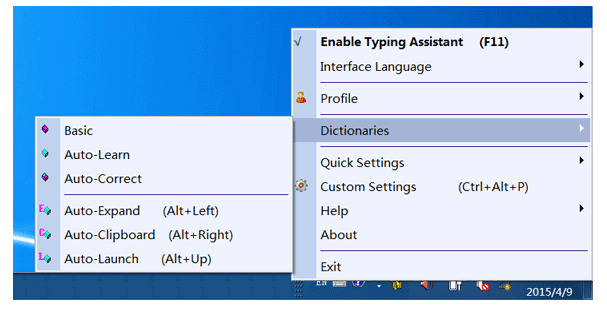 Right click on the Typing Assistant system tray icon to display its Main Menu. 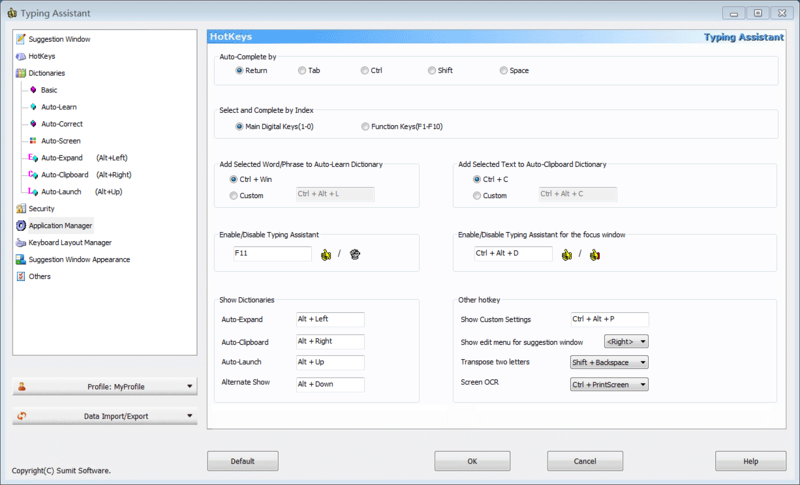 Select "Custom Settings", to set the software options. Configure Profile for different language typing.